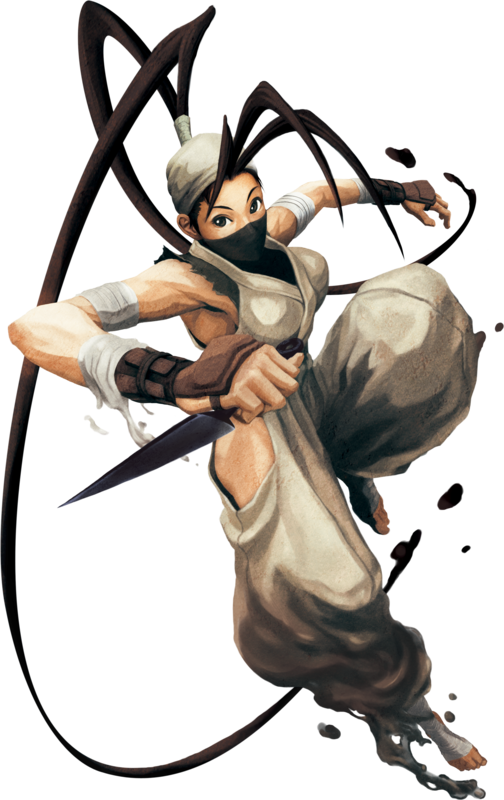 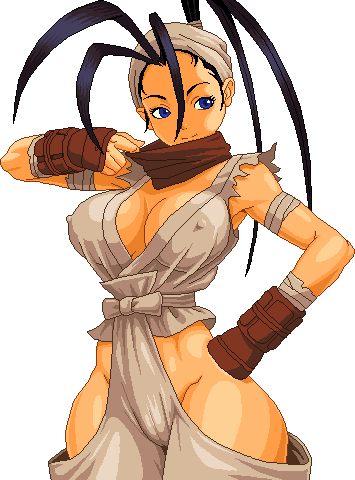 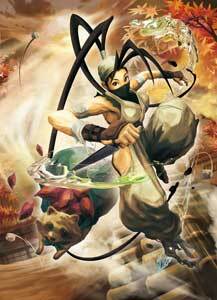 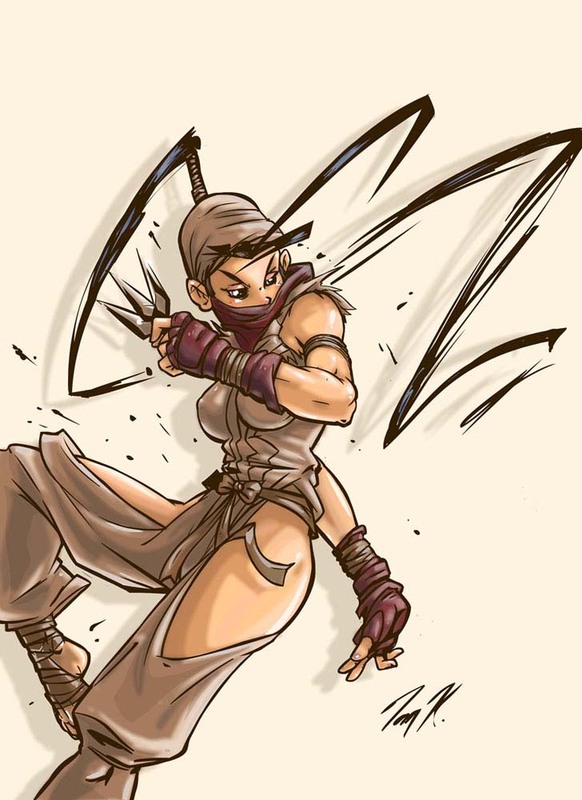 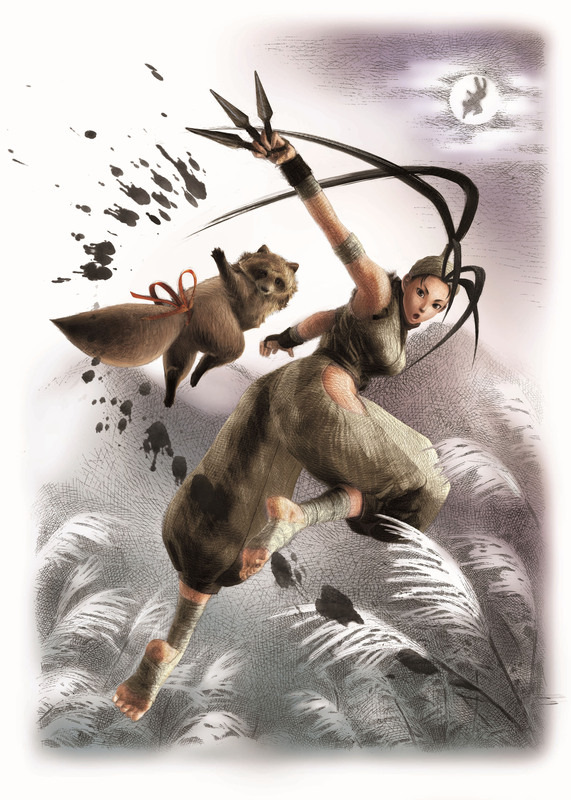 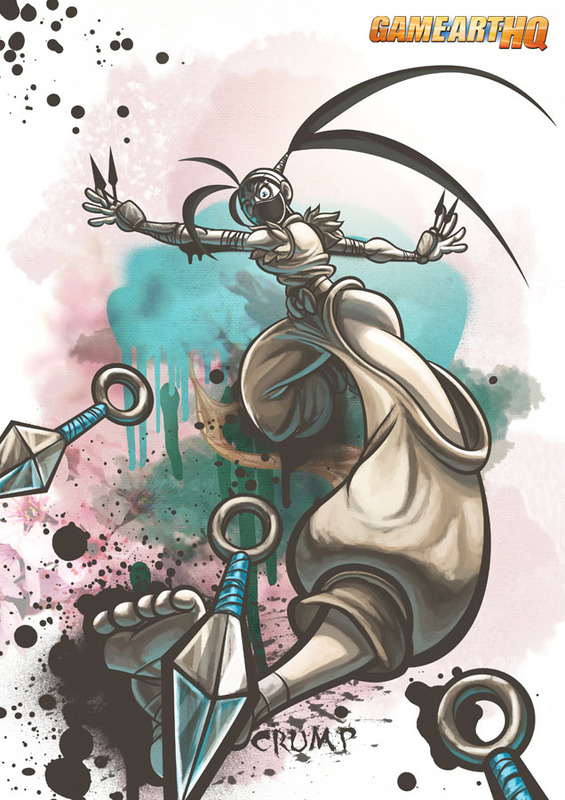 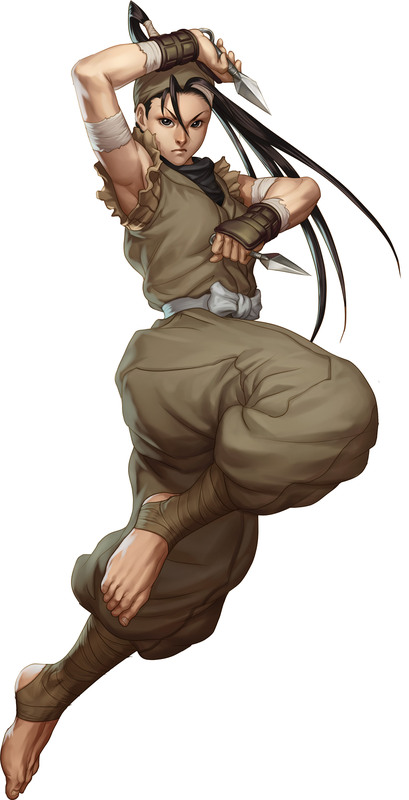 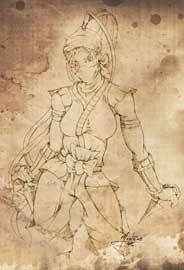 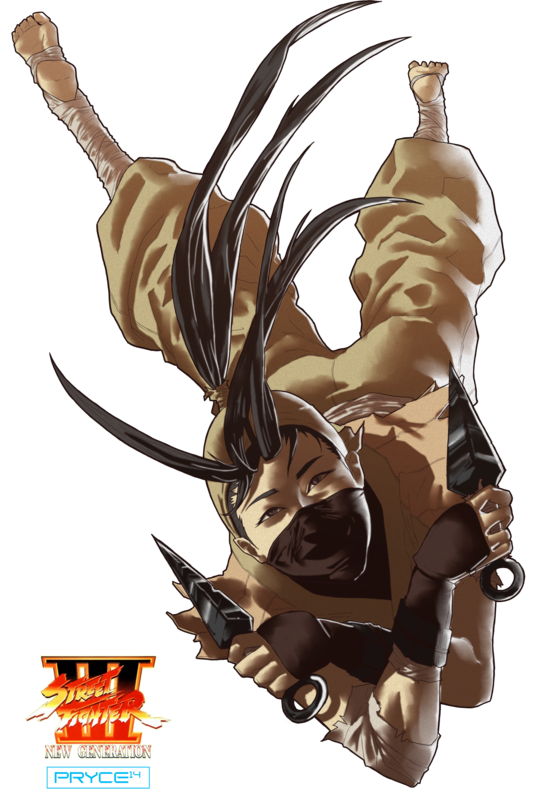 Ibuki is one of the playable characters in the Street Fighter series and debuted in Street Fighter III and its updates (1997-1999). 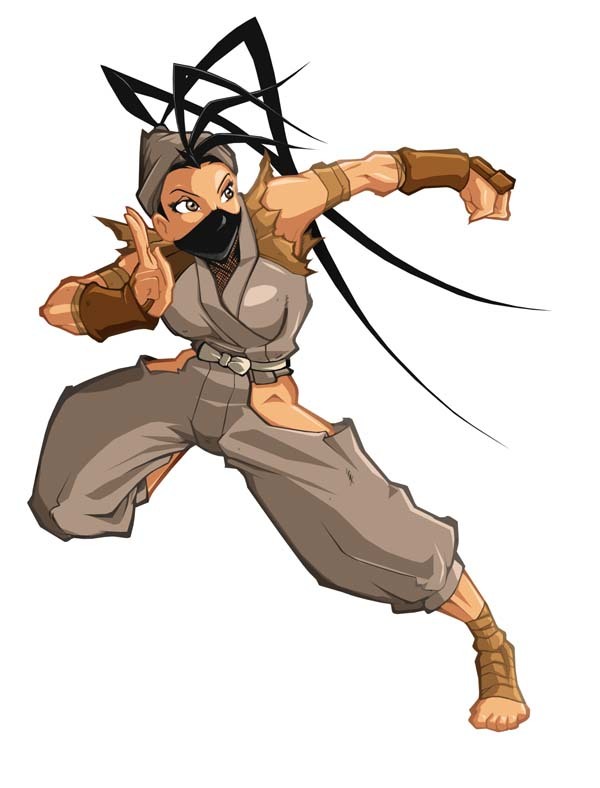 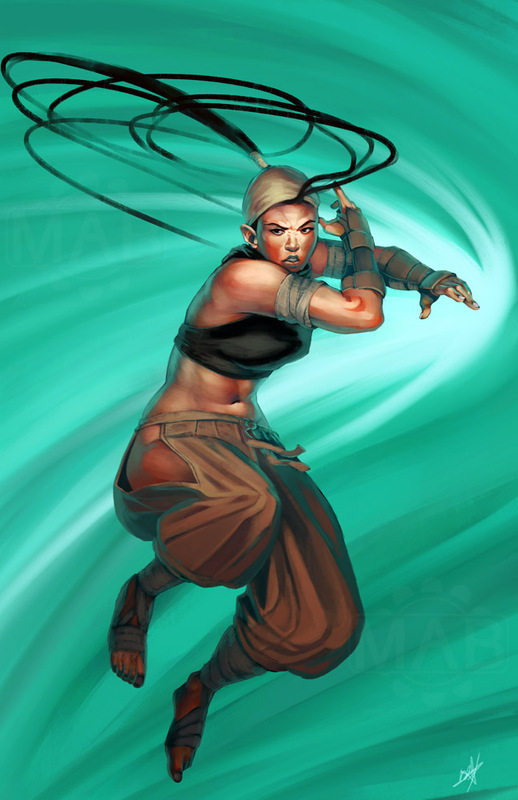 She became also a playable character in Pocket Fighter (1997) and returned to the series in Super Street Fighter IV (2010). 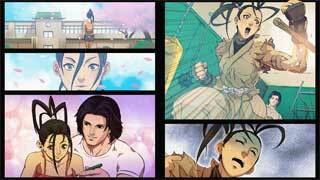 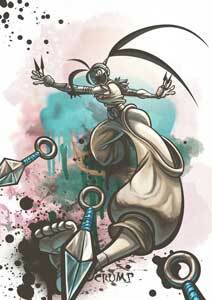 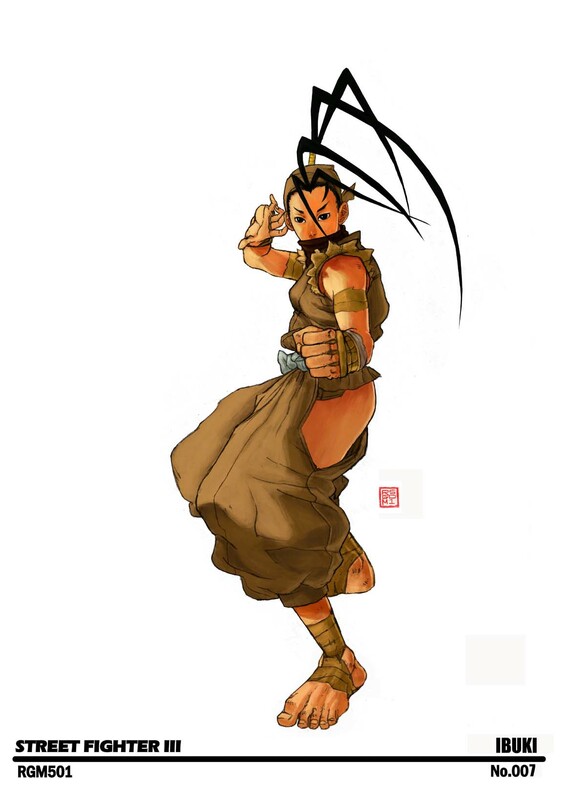 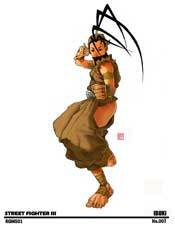 Ibuki was also planned to be a playable character in Tatsunoku vs. Capcom was these plans were scrapped. 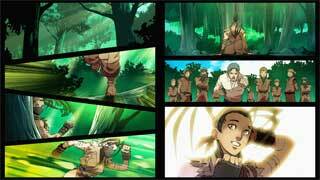 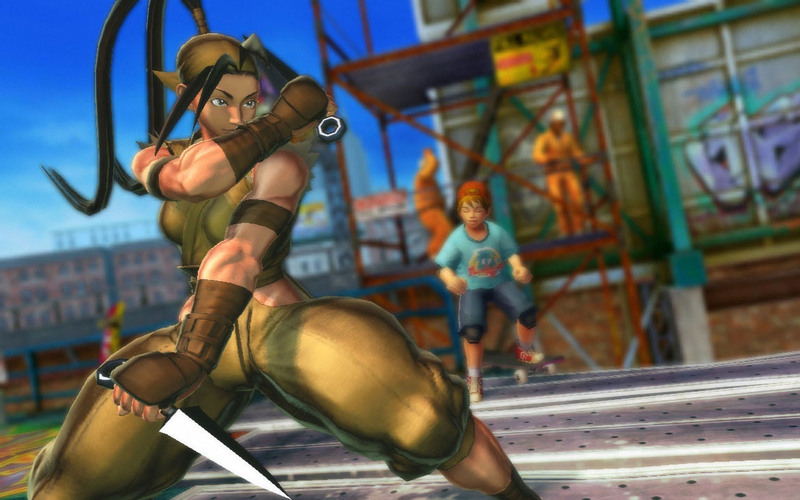 She returned in Street Fighter X Tekken (2012) though where the teamed up with Rolento. 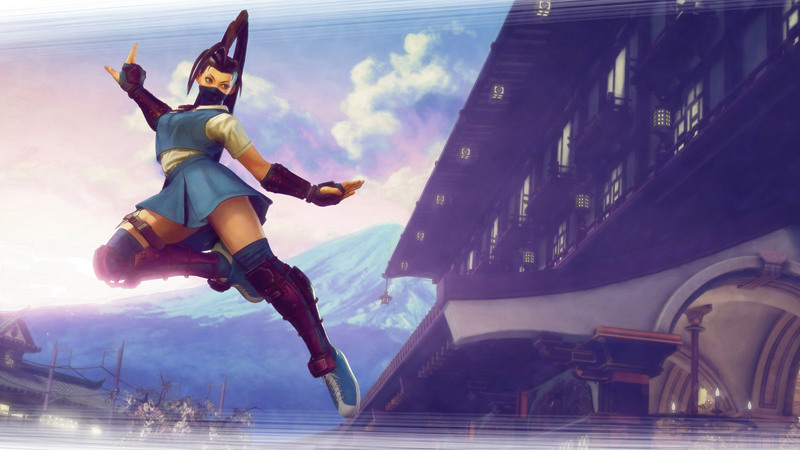 Ibuki’s latest appearance is in Street Fighter V where she is one of the first 6 dlc characters released in 2016. 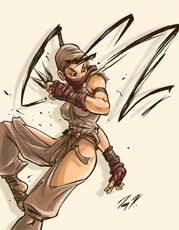 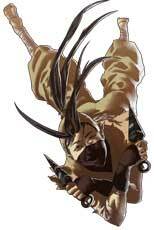 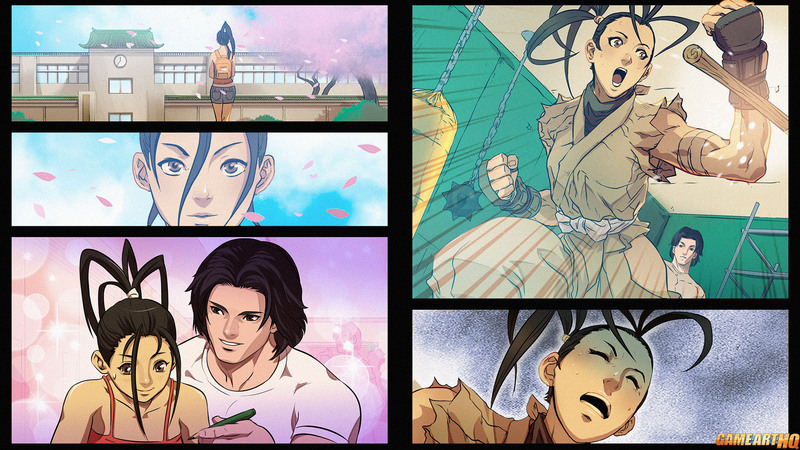 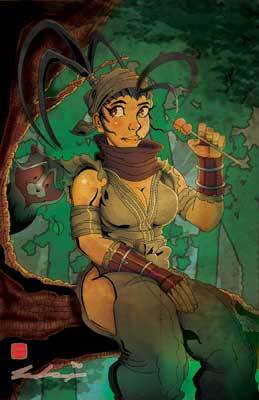 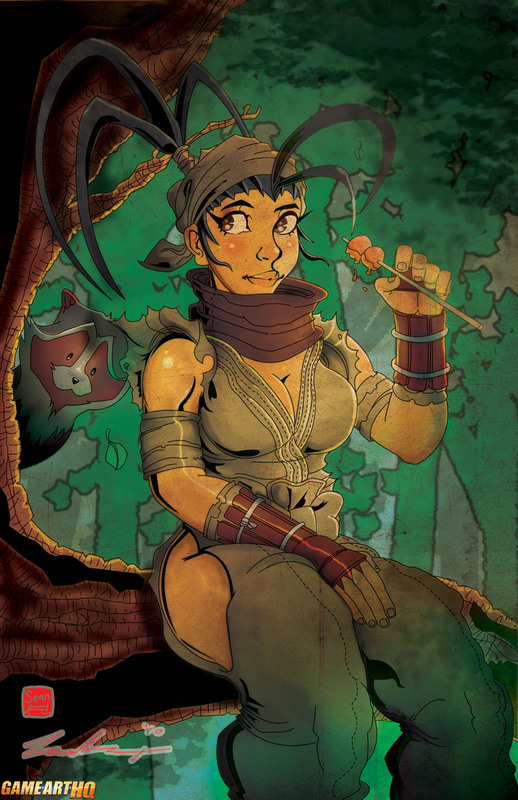 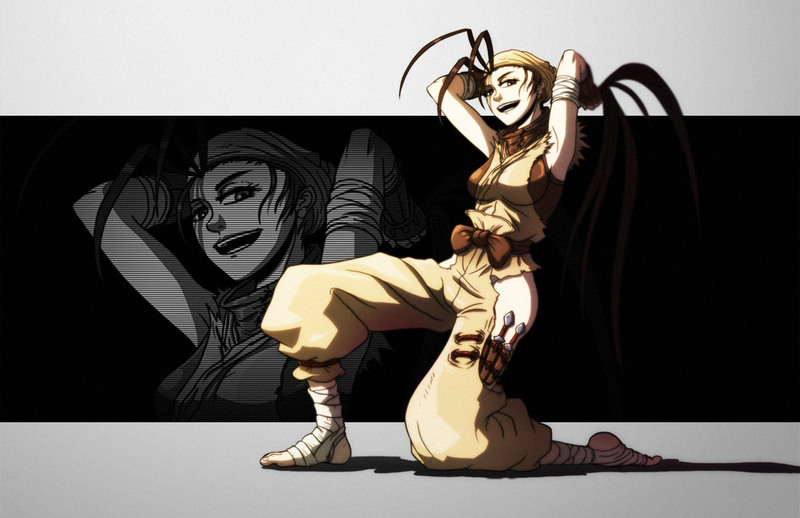 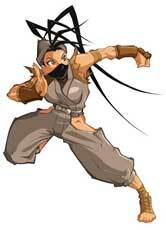 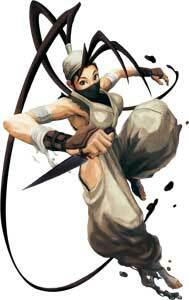 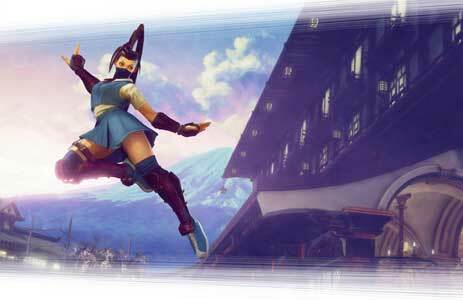 Ibuki is a Japanese Ninja but also still a school girl.